Among events in the FENAC Village, the book exhibition has won the hearts of many. The Eighth National Festival of Arts and Culture (FENAC) enters the third day today, November 10, 2016. The event brings together producers of Cameroon’s culture and art. Over 500 delegates from across the country are in Yaounde to showcase the country’s rich cultural diversity. Among events in the FENAC Village, the book exhibition has won the hearts of many. In one part of the festival village, the Ministry of Arts and Culture has allocated a good number of stands to the book sector. The objective is to give the opportunity for Cameroonians to discover books and even meet authors. 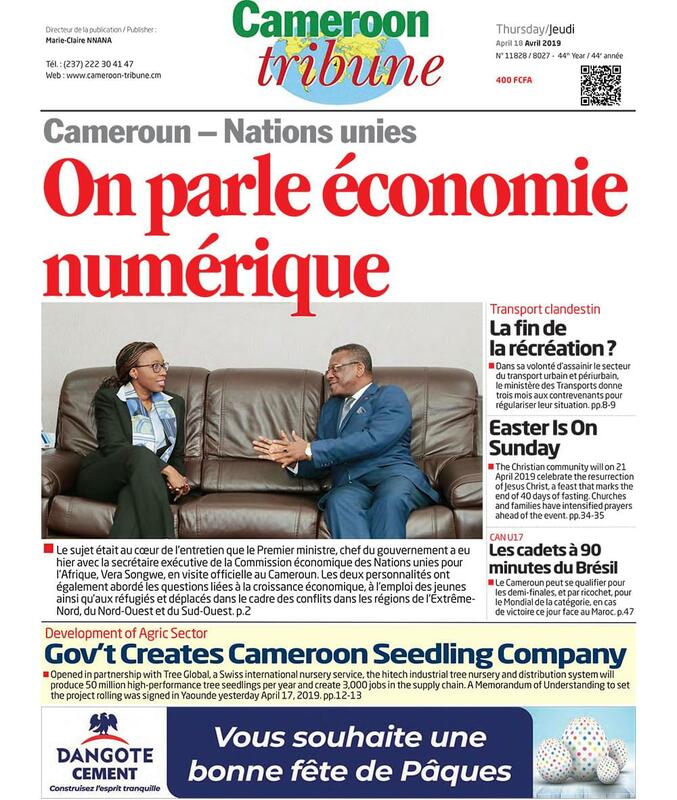 In all stands Cameroon Tribune visited yesterday, November 9, 2016, one could see a wide variety of books from all the 10 regions of the country. Columbus Nkeze of the ANUCAM Publishing House said they publish books for nursery, primary, secondary and high school and others for people to read for pleasure. ANUCAM also publishes books for university use. Even though it is believed that Cameroonians do not read enough, Columbus said this was not true as they have a good market, especially in the nursery, primary, secondary and high school book sectors. He said apart from school textbooks, they also publish novels for people to read for pleasure and understand other aspects in life. Also on hand at the exhibition yesterday was Cosmos Educational Press. It also publishes for entertainment. Ntungwe Ebane of Cosmos said their books depict pan-Africanism with the aim to promote Cameroonian culture. Nyah Hans Ndah, the Chief Executive Officer of Nyaa Publishers, said they are interested in technology, arts and the sciences. Nyaa is also interested in children’s literature. He lauded the organisation of the book fair, saying many of their works are included in the 2016/2017 official book list for primary schools. These include, “Grandma’s Daughter,” “No to Terrorism,” and “Secrets of Numbers,” among others.